Plum Creek Golf Club website. 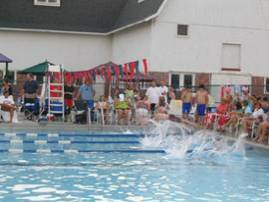 The swimming pool is owned and operated by the Plum Creek Golf Club. Plum Creek Village residents do not have any inherent rights of use of this facility. However, the Golf Club offers Plum Creek Village homeowners the opportunity to purchase annual memberships.